With Team Lecce as our hosts, we explored the connections in between this historically significant city and its countryside, in a region where the urban and the rural are closely intertwined. Lecce itself is a mid-size city and the heart of the Salento region, with an economy dominated by agriculture — especially olive oil and wine production — and tourism: hundreds and thousands of tourists flock to the numerous beaches on both sides of the Apulian peninsula every summer. 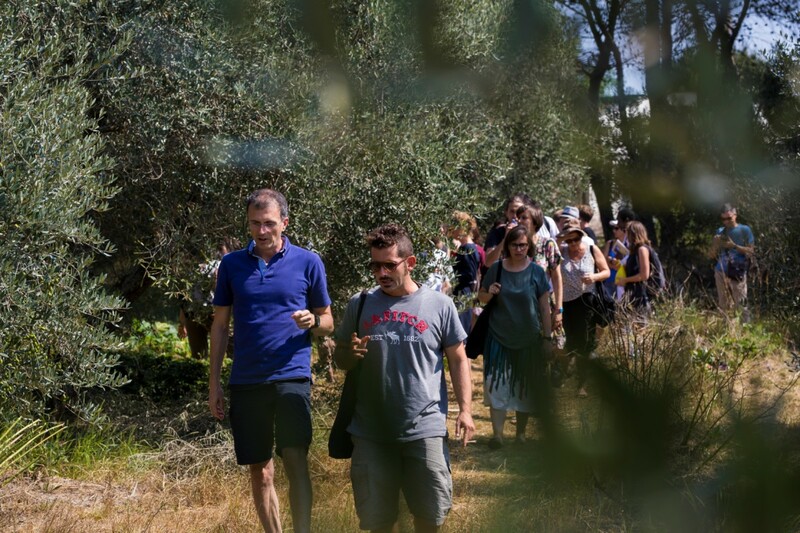 As we go on a critical walking tour through the city center, Angelo Salento, Sociology Professor at Salento University, tells us that towns need to become more like the countryside and the countryside needs to become more like towns. “Those combining urban and rural ways of living – the younger generations moving back into rural areas – are the most important actors to bring change to these regions,” Professor Salento said. This is happening with Team Lecce’s BotaniCALL project. About 10 kilometers from the city center lies the Salento Botanical Garden, a 13-hectare area next to a highway which was previously used as a pasture for sheep. 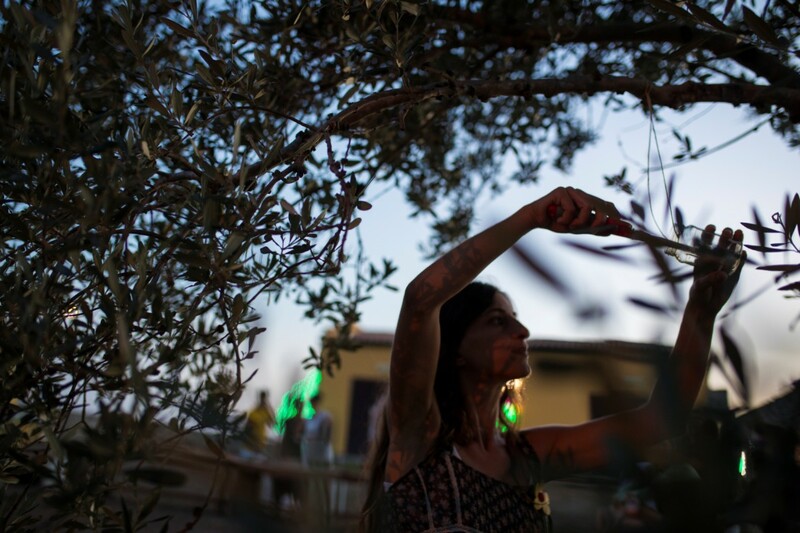 There, Giulia Toscani, Francesca Guarascio, Marco Carlino and Afro Carpentieri are creating a space that connects the urban and the rural, building community and activating citizens through their connection to nature. 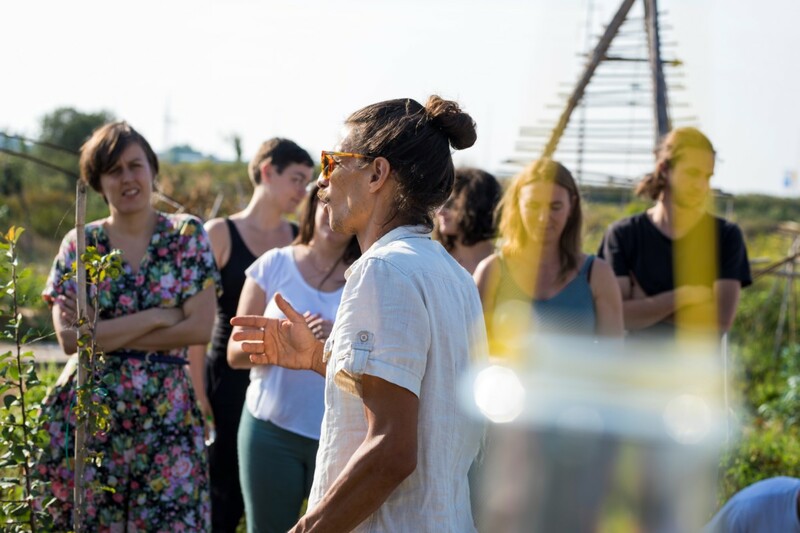 Before diving into Team Lecce’s project, we first explored the urban-rural context by visiting one of the region’s many “agriturismo” locations, combining sustainable agriculture with services for tourists. Agricola Piccapane is a large organic farm located in Cutrofiano, about 30 kilometers south of Lecce. In the farmhouse, a restaurant serves a vegan, seasonal menu using mostly local ingredients, and there are five rooms for guests. A small store offers some of the farm’s products: olive oil, traditional local baked goods and preserves: pickles, eggplants, hot pepper paste and jams. As we tour the farm, our guide tells us the difficulties to implement community-based agriculture in the region. Giuseppe, the farm’s owner, would like to sell his products only in the region. He wants to create an alternative market in Salento, one that caters to consumers that care about healthy, sustainable living, giving access to the local community to quality organic products. But not all farmers feel this way: some of the region’s organic farmers want to tap into larger markets to increase their profitability, creating tensions and divisions in the natural agriculture community. Giuseppe criticizes farmers that don’t focus on local distribution, but he can’t exactly blame them. For this concept to really work, the community’s awareness of the benefits of organic food has to increase. “Our hope is that change will come through children, and the new generation will implement these ideas,” Giulia added. Both the Piccapane farm and Team Lecce’s BotaniCALL project use the synergistic agriculture method to grow food. This means letting nature do most of the work — no ploughing, no fertilizers, and no pesticides. The method is combined with the principles of circular economy, creating a complex, self-sustaining system. All greywater in the farm is used in the fields after passing a filter. Giant canes that grow wildly there work as an oxygen pump, capturing it from the atmosphere and pushing it into the soil; and they are also used to build multifunctional structures in the garden, acting as windbreakers and providing shadow and support for climbing plants. Circular economy is an important topic at the botanical garden not only in terms of natural resources, but in terms of human resources as well. Afro and the Lecce team want to come up with a sustainable model for the people who work here. So far, they have all worked as volunteers, but as the workload increases, they must find a way to compensate people for their work. 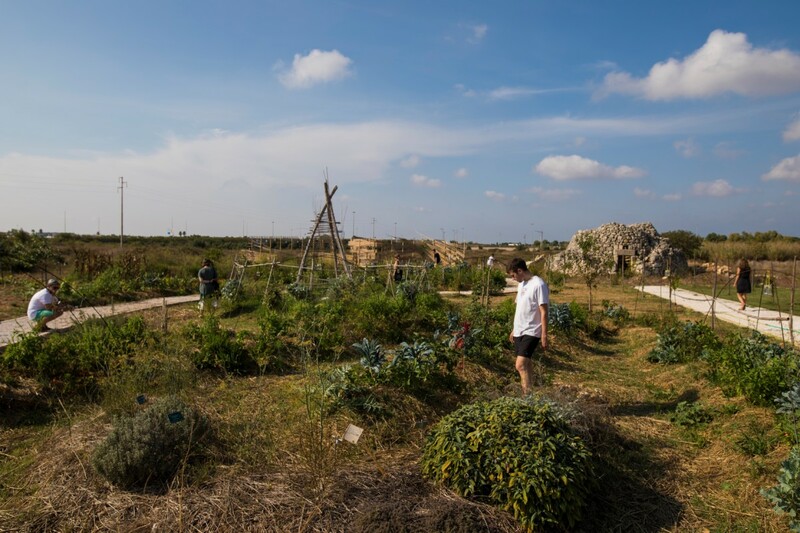 In the beginning, the volunteers faced many challenges, not only in maintaining the garden, but also in connecting it to the city of Lecce and the community: the botanical garden is located far off from the city center, it can’t be reached by public transport, and the region still lacks a cycling culture — making the access to the location a real issue. The garden did come alive during the Actors’ Academy Meeting: a public event with food and a live audiovisual performance — using images and sounds captured at the garden — gathered many people from the community, and showed the potential of the project to bring people from the city to the countryside. Now, the team is dreaming of ways to bring more people to the garden in the long run. They would like to build temporary shelters for residencies of volunteer farmers, architects and artists. They also want to become a space where regular cultural activities, workshops, and research projects take place.